This week, Stephen Ibaraki has an exclusive interview with Ken Salaets. As Director of a portfolio of Information and Communications Technology Policy and Advocacy Initiatives, Ken has been instrumental in positioning ITI, which is celebrating its 100th anniversary, as the leading global industry voice on a wide range of issues, including ICT accessibility, standardization policy and sustainable development. His advocacy work has taken him to capitals around the globe, with an increasing emphasis on the Global South. 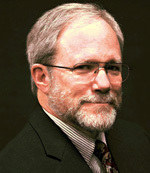 Prior to joining ITI, Ken served on the professional staff of a U.S. House of Representatives oversight committee, managing investigations and congressional hearings on an array of topics, including international aviation security, federal housing and surplus property programs, and small and disadvantaged business subcontracting. When not promoting industry perspectives, Ken spends quality time with his family and a burgeoning collection of electric and acoustic guitars and folk instruments. :00:20: Can you describe your journey from age four to your twenties and the milestones and valuable lessons that continue to shape your vision, goals and execution style? "....I absorbed a lot of lessons from my folks, one being 'pay your own way and basically stand on your own feet and if you make mistakes then own up to them'....Fairly young, I was intrigued by the US political landscape, getting involved in some of the tax issues and debates that were taking place in the local community in Orange County. I was also fascinated by geo-political dynamics which led to a desire to get involved in international relations....In school I dabbled in psychology, almost became a school teacher and was also involved in financial planning, but ultimately I found a way to take my various political experiences and campaigns and turn that into a ticket to Washington, DC. I've been in DC since 1985...."
:01:53: Prior to joining ITI, can you describe some key lessons you learned while serving on the professional staff of a U.S. House of Representatives? "....I think what I learned in that process was that Congress as an institution was a great equalizer. It enabled average, everyday individuals such as myself to stand up to the US government or to major corporations and gave us more of a level playing field. I always thought that was important and it gave me an appreciation for approaching significant issues from the individual's perspective, and find ways to equalize the power structure....I also learned fairly early on that high-level officials usually know a lot about a little and a little about a lot - and as a consequence they had to rely on and surround themselves with smart people with common sense. I tried to become one of those people in that process, but I understood that even people that seemingly have significant influence often are somewhat limited; in many respects they are no different than me...."
:04:34: How did you get into the ITI and what is the value proposition of ITI? "....I joined ITI straight from the Hill (the Hill meaning Congress). I was involved in a committee that had significant impact on federal procurement policy, and at that time the tech industry was evolving from electric typewriters to the computer age (the digital world) and Congress had significant potential impact in shaping that market and that transition. One of the key desires that industry had was that we be able to sell our products and services to all customers and essentially treat them the same way....Our goal was to treat the government like a commercial customer and encourage the government to adopt commercial practices. I was hired by ITI to work on the industry side of that equation and in the first few years we were I think instrumental in helping Congress pass two significant procurement reforms that truly changed the way that the Federal Government bought ICT. The value proposition for ITI is our ability to translate the complex and often arcane views of our collective membership into plain language that can be understood and leveraged by policymakers in global markets. We have people highly skilled in fusing the many voices into one and then amplifying industry perspectives in capitals around the world...."
:06:31: Who would be the members of ITI? "....ITI's membership is varied. We have roughly 60 companies. I say roughly because the industry is almost like a beating heart in a way in that it expands and contracts depending on what's happening in the marketplace. We represent everything from the chipmakers like AMD and Intel all the way up to virtual companies like VeriSign and almost everything in between. We draw our membership from Europe, Asia and obviously North America. We have now a member company from India which is a new expansion into that market and we are also beginning to talk to tech companies (in many cases start-ups) in the global South, Africa, Latin America and Asia...."
:07:50: Are you similar to TechNet or different? "...We are different in the sense that we are almost more at the working level. I think the companies bring people to our table that not only have policy skills but also technical skills and we project that globally....TechNet is more focused on the US and on the US government...."
:08:53: What are some of the goals for ITI for 2016 and 2017? "....The goal always is to promote market access....Ultimately we engage in encouraging adoption of policies that we believe will promote free trade and the free flow of information in whatever form whether it's data, verbal communications - whatever the case may be. So almost everything we do, whether walking the halls of Congress or the halls of the European Commission, for example, is essentially promoting sound policy and innovation...."
:10:00: It sounds like what you are trying to do would tie in very well with the International Telecommunications Union (ITU), the UN Agency responsible for ICT. Do you work with them at all? "....Actually in the past few years I've spent more time engaging the ITU usually as a member of a US State Department delegation....ITU is an interesting institution for our industry and to their credit they went from the telegraph to landline telecommunications and now they are endeavoring to expand more actively into the ICT realm. They are very good at some things (it's really a locus of activity for a number of governments, particularly for the developing world), but they also create challenges for us. As we invest, for example, in ICT standardization and various development activities, typically, we don't go to the ITU to do that work. Rather, we go to voluntary industry-led standards development venues where we think we get a better return on our investment....We have respect for the ITU, but it's a balancing act which we probably continue to play for at least the next few years...."
:12:52: Can you describe in more detail your role and what you hope to achieve? "....My title, Director of Global Policy, is fairly generic. We actually have multiple Directors of Global Policy, and we all tend to focus on different policy areas. For example, my portfolio includes ICT standardization and ICT accessibility, i.e. making technology accessible for people with disabilities. I am also moving more into sustainable development....In terms of goals, I have a particular short-term goal for 2016. I conceived and helped launch an initiative called 'Connecting the Unconnected,' focused on expanding broadband access worldwide. One thing we are trying to do a little different is to focus on peer leadership. Rather than have the US or other industrialized countries sit down with government officials and industry in the developing world, we really want to emphasize what is actually being done in the developing world that is working for governments, NGOs, and for the business community, that could possibly serve as a solid example for other countries in a similar situation and with similar aspirations. By the end of this year we are going to publish what we are calling a Policy Toolbox (with the notion that one size doesn't fit all), where you have an array of options that might help stakeholders in other countries with similar aspirations make decisions that could help accelerate their progress in building out their own digital economies...."
:15:49: Can you talk about some of the issues around ICT accessibility? "....Accessibility is a fascinating issue because for our industry one of the chief goals is to be able to expand the effective use of technology, including the internet and everything that goes with it, to as many people as possible. One of the advantages of technology is you can participate in an activity anywhere you are. For some people who literally cannot leave their homes, through technology, they can actively engage not only in the work environment, but also in society generally....From a policy perspective, we're really focusing on technical solutions. When engaging governments, we often find that they believe that their particular market, city or jurisdiction is unique, and by virtue of being unique, they need to have their own set of rules or a different set of rules, rather than looking at what's already available globally and leveraging what's already in the marketplace.....When we go out and advocate to governments on what we believe is effective accessibility policy, we really try to promote a harmonized approach - not necessarily harmonized standards or rules per se - but a core approach. Rather than prescribing what industry has to do in terms of a solution, we recommend essentially identifying the desired outcomes, the performance they are endeavoring to deliver, and then allowing industry to innovate and compete to provide the best solution...."
:18:29: What are the challenges for standardization policy? "....One of the challenges is what I like to call 'the roadmap' and trying to get policymakers to choose what we believe is the most effective policy roadmap. We are actively dealing with governments in Asia and Europe (the European Commission) right now on standards policy....One of the key challenges we are running into is that as more and more governments start to reinvent their processes to build out their own digital infrastructures, they tend to want to adopt rules or set priorities from a political perspective rather than from a technical perspective. This can create a number of problems, such as when standards are adopted that tend to benefit the legacy providers in a country or maybe emphasize one particular sector, Telecom over IT or some other possibility....But if governments, policymakers, even corporations that are looking to purchase technology would define their needs in terms of desired performance and outcomes, rather than setting or defining a very specific 'bar' or solution, companies will be encouraged to 'jump higher' and come up with better solutions. Ultimately, that encourages competition and probably accelerates cost reductions for the technology that does enter the marketplace...."
:22:49: How can sustainable development be achieved? "....We don't have to convince people for the most part that technology plays a key role. I think there's a broad acceptance of that fact...I think what we need to do is to take that acceptance, that ambition and find practical ways to let the marketplace do its thing. Technology has advanced so quickly that, in some cases when we talk about the digital divide, the meaning is evolving depending on different conditions and different scenarios....So one of the challenges in sustainable development is helping the decision makers within those markets (whether it's in government or industry or even in academia) understand that there are these tools, these capabilities readily available, typically at various price points that they can employ within their businesses, economies and societies that could really help advance economic and social development in so many ways....For ITI as an organization representing 60 global ICT companies, our role in many cases is to go into these markets and build relationships with policy makers, to help them leverage the technology and skills (and in some cases the goodwill of our industry) to break down barriers that may exist in utilizing ICTs, thereby developing a mutually beneficial relationship between industry and the individual users on the other end of the transaction...."
:27:43: There's an interest in the Global South and an increasing emphasis, can you talk more about that? "....The Global South traditionally has been a set of markets that we didn't really focus on initially as an industry....In the Global South (Africa, Latin America, Southeast Asia) you have many very successful economies where they are already utilizing technology to a significant extent. However, there are many other countries that have not had those opportunities or are coming out of an environment where perhaps the risk was too high for industry to engage in that particular economy. Now, however, there is a growing desire to expand and engage in the global digital economy. Many different institutions and organizations are engaging these countries, helping to create a more receptive environment for technology to be deployed in those markets. The Global South is really ripe for a more direct policy engagement by ITI and the industry at large, so that's the role we intend to play, as a catalyst....The one thing that is pure enjoyment for me is to go into these markets to talk to the tech businesses (often start-ups but in some cases established businesses) and play, in effect, a mentoring role. We've had governments approach us and say, 'We would really appreciate you coming into our country and working with our nascent tech industry, helping them to become more effective partners with government in expanding our own digital economies.' That is a service ITI is uniquely positioned to provide. Most organizations or entities (whether it's an NGO or the like) don't have ITI's same particular skills and experience, so that's one opportunity that we're looking at to expand engagement in the Global South and help build those relationships...."
:34:22: You have many interests. Can you talk further about them? "....Music is an essential part of my life. I play guitar and many other instruments. I've always loved music since I was a small child. I write songs and perform and love to build relationships with individuals around the world with similar skills and interests. Music is like a universal language - no matter where I go I find it and develop an instant rapport with the people that are making music....Lately one of my key interests is my first granddaughter. She's like a blank canvass, only I'm not the one doing the painting, she is. To sit there and observe her reacting to her environment (including technology) is fascinating, because she has been born into a world well beyond anything that I experienced....Professionally, international politics remains something I'm very interested in....I also read a lot (about an array of subjects), and of course I love to travel...."
:37:24: From your extensive speaking, travels, and work, do you have any interesting stories to share (perhaps something amusing, surprising, unexpected, amazing)? "....I've been blessed in life with a good career, good opportunities and a good upbringing. All of that has coalesced into opportunities to meet people and engage on a global basis to find ways to make a contribution. Some of my favorite stories? One for example....I was talking to a mid-level bureaucrat with a telecom agency in Africa. A very frank conversation. I was talking about the industry perspective and he was talking about the government perspective. He turned to me, looked me in the eye and said, 'Do you know the problem with the Americans?' I chuckled and said, 'I can think of many problems, but you tell me what you see as a problem.' He replied, 'You listen with your mouths.' I literally laughed out loud and I instantly understood what he meant. That was an important lesson for me, that in the process of trying to engage people, you first have to really listen and appreciate and endeavor to understand their world view, their community view and their individual view. Only then will you be prepared to be an effective collaborator. That one lesson has reverberated in all of my work and I'm still grateful to the young gentleman who was bold enough to make that statement...."
:45:23: Ken, with your demanding schedule, we are indeed fortunate to have you come in to do this interview. Thank you for sharing your deep experiences with our audience.